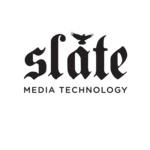 We have transitioned over to a new support site for Slate Media Technology. It looks very similar but please be sure to open any support tickets in the link below. The old support site is now inactive. Do i need to make a new user on the new support site?.